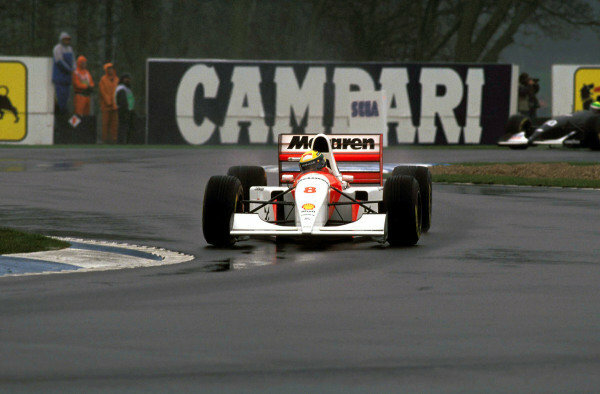 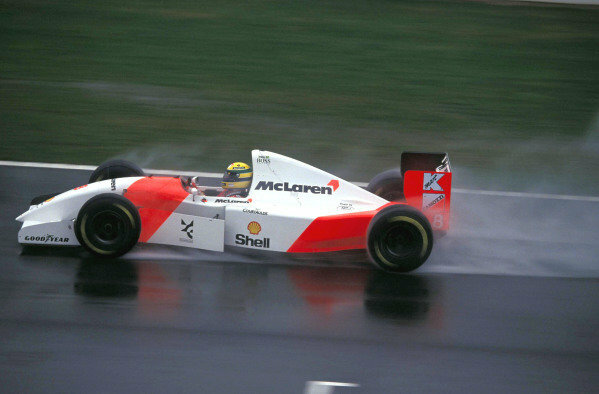 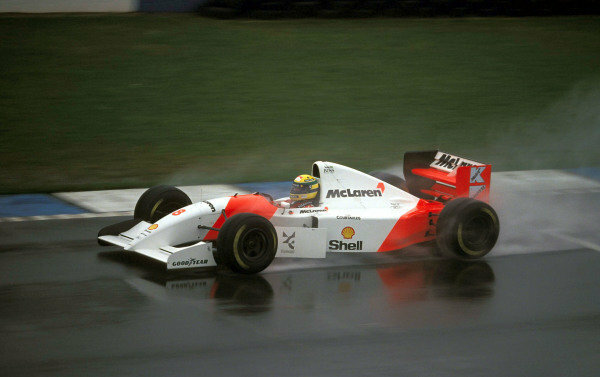 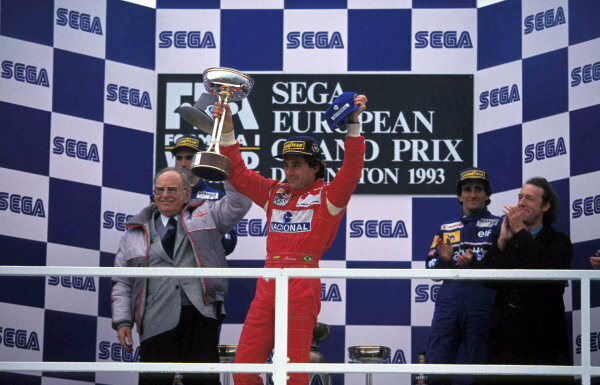 Ayrton Senna, 1st position, with the trophy on the podium. 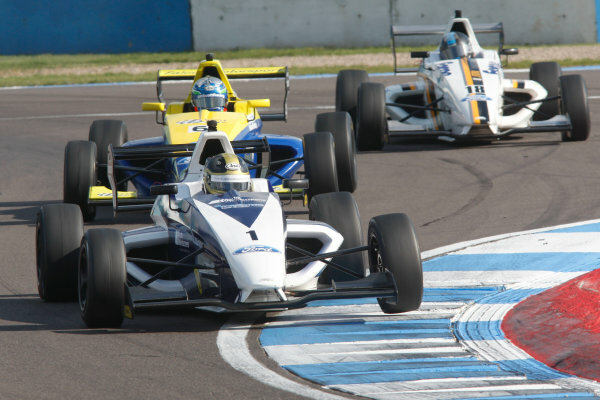 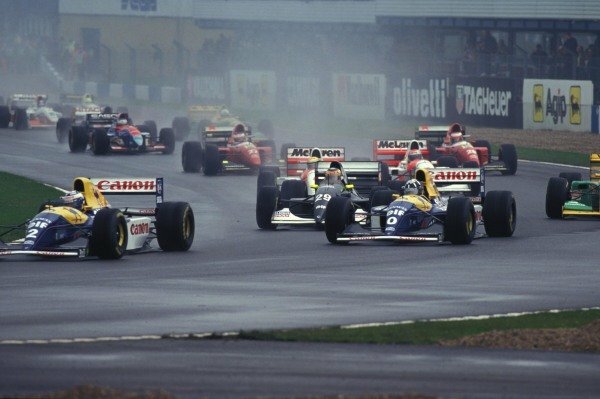 Tom Wheatcroft is on the left of frame standing just in front of Damon Hill, 2nd position, with Alain Prost, 3rd position, on the right. 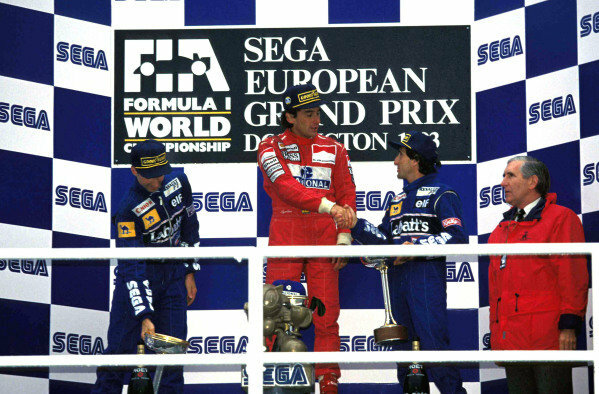 Damon Hill, 2nd position, Ayrton Senna, 1st position, and Alain Prost, 3rd position, on the podium. 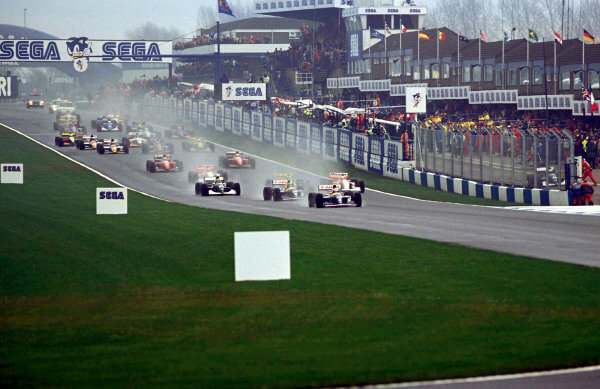 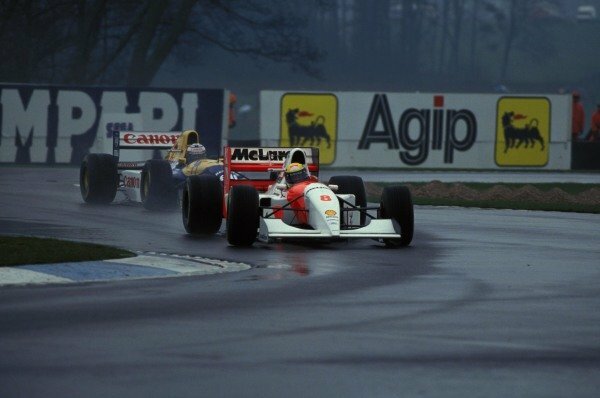 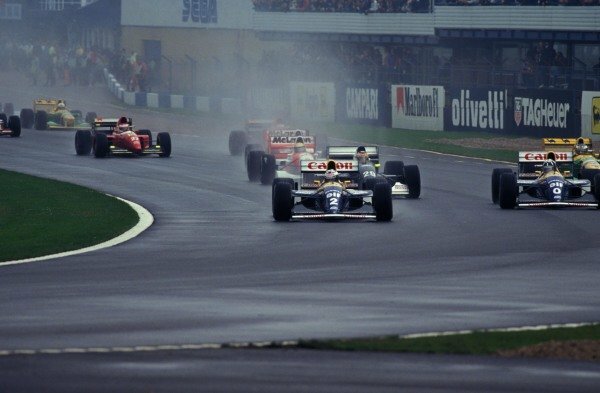 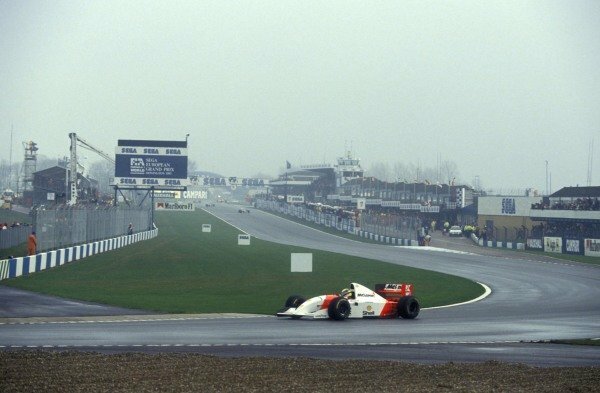 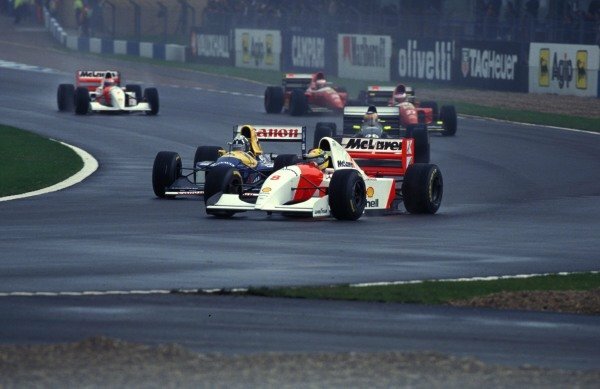 Alain Prost, Williams FW15C Renault, leads Damon Hill, Williams FW15C Renault, Karl Wendlinger, Sauber C12, and Ayrton Senna, McLaren MP4-8 Ford, at the start. 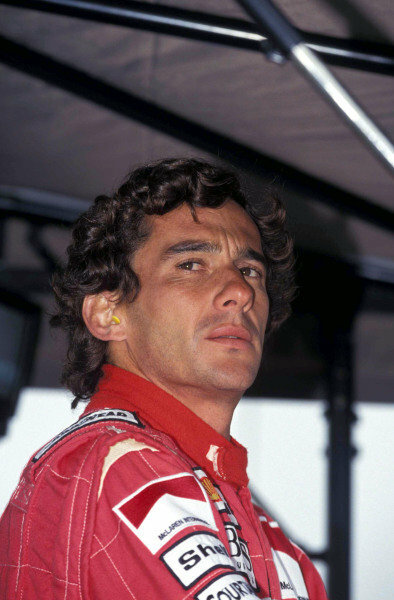 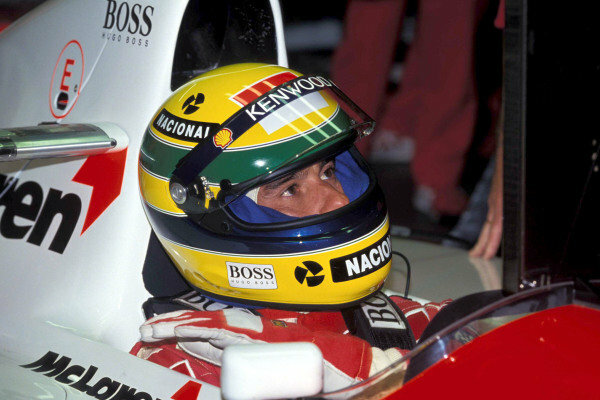 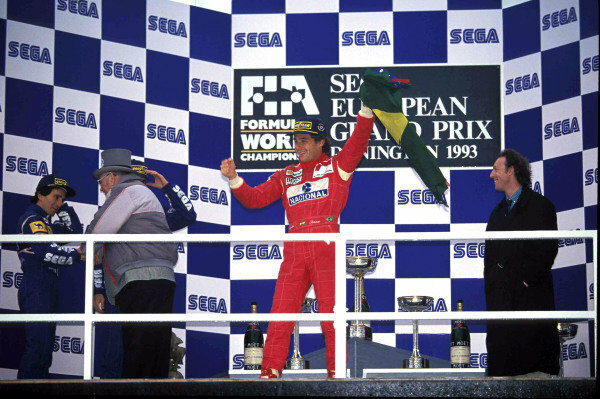 Ayrton Senna, 1st position, with the Brazilian flag on the podium. 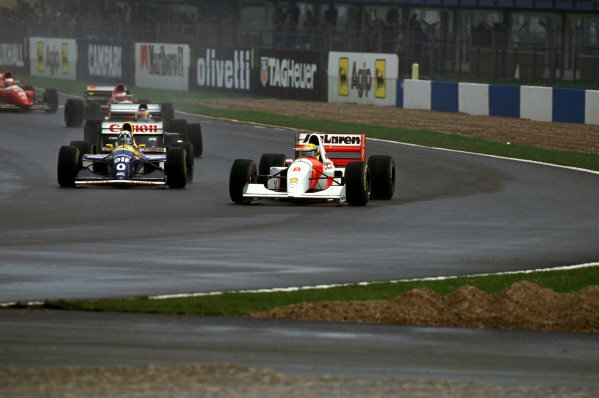 Tom Wheatcroft congratulates Alain Prost, 3rd position, on the left of frame. 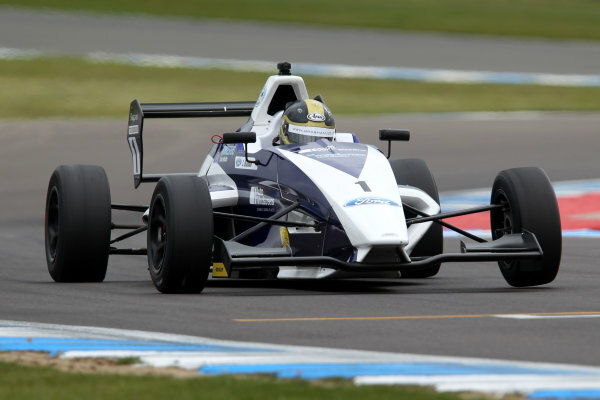 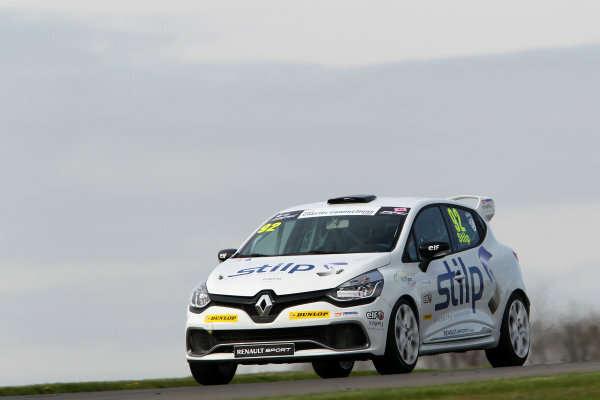 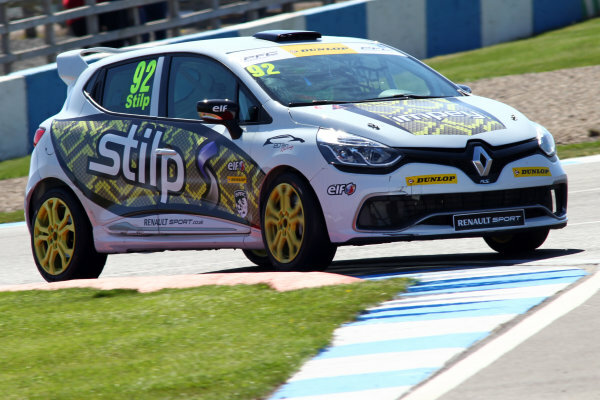 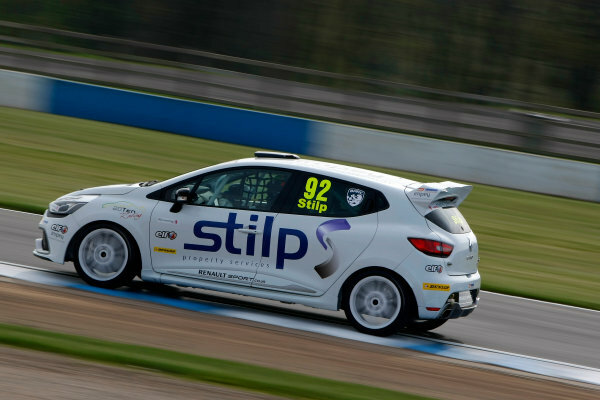 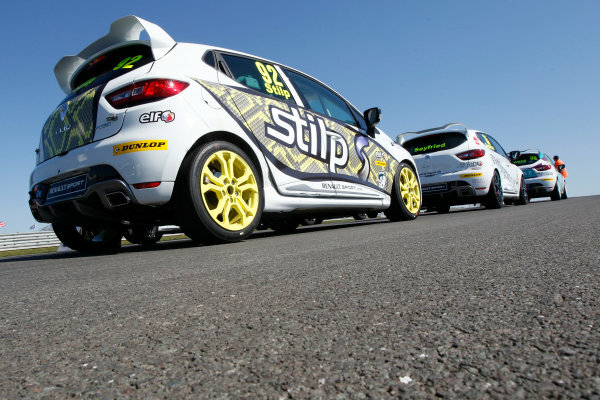 2014 Renault Clio Cup,<br /> Donington Park, Leicestershire. 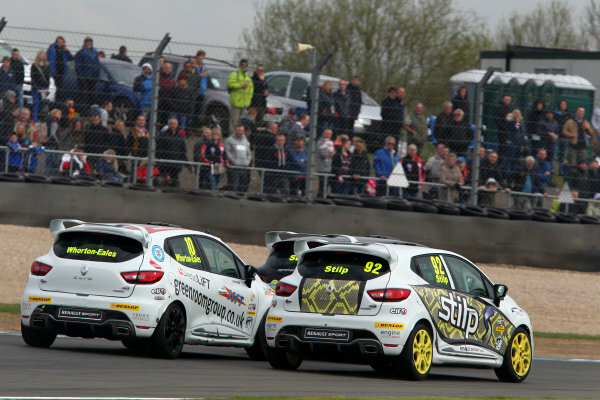 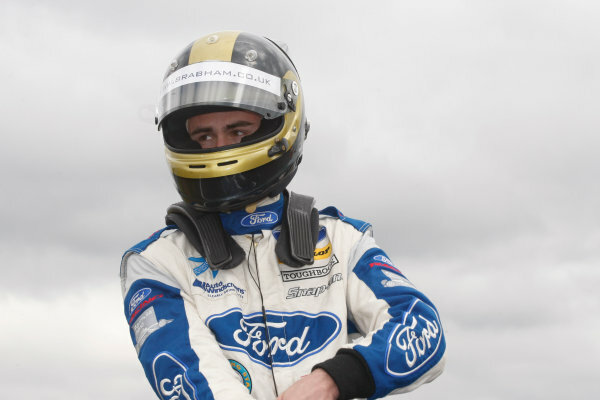 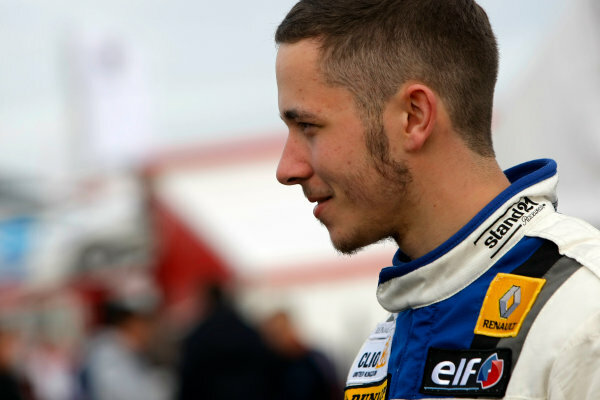 17th - 20th April 2014.<br /> Jordan Stilp (GBR) 20Ten Racing Renault Clio Cup.<br /> World Copyright: Ebrey / LAT Photographic.